Working in public service is often deemed “a calling, not a career,” and while this sentiment rings true in the heart of most responders, this calling requires personnel, training, vehicles, equipment, and compliance with statutes. And those things cost money. Not to mention that families have to eat. Wherever your beliefs and feelings fall on the political spectrum, there is a real cost of providing emergency services to the community, irrespective of the party in political office. Over the last number of years, budget cuts and layoffs of emergency services personnel, cuts to pensions, and delaying upgrades in equipment have affected readiness and morale in many public agencies. This approach (cutting services) has very vocal critics outside the local community. The economic Policy Institute (EPI) is a non-profit, independent organization that studies economic “trends and policies”. An August 2014 article by David Cooper, an economic analyst with EPI, graphs the losses/ addition of public sector jobs since 2007. Losses are noted in 21 states, gains in 28 states plus D.C. The purpose of this article is to examine some of the tension within municipal requirements to provide high quality services in the face of fiscal constraint and shrinking budgets. The intent is to “open the kimono” and begin the discussions that will produce creative solutions to current budget crises facing agencies and new ideas to mitigate the remaining issues in the near future. Many communities have started to place their budgets online, often running hundreds of pages. To be honest, it is easy to lose sight of the large number of agencies, organizations, and public services that receive support and funding from a municipality. The complexity of regulations and guidelines within which a municipality must operate also constrains the budgeting process, reporting requirements, public release, etc. For example, the Municipal research and Services Center (MRSC) is a Washington State organization that offers assistance and resources to localities within the state. Their website provides a peek behind the curtain, a look at the complexity of local budgeting. For emergency services providers, the big three interests to consider that compete within a community are a balance between acceptable risk to a region, such as trying to forecast the probability of certain disaster, crime rates and population shifts, and loss of revenue or changes to property values/ taxes/ municipal investments. Within an area of governmental responsibility, the municipal priorities to provide other services: courts, utilities, youth and senior services, libraries and parks, are not always in direct competition for funds. Rather, when property values have been depressed, tax revenues have gone down, the municipality must balance paying for all of the budget line for emergency services at the risk of not paying anything in another budget line. It is often a zero-sum game. Public Sector insurance covers a municipality against liability claims for all types of risk, from falls on city owned property to police misconduct. Some jurisdictions are “self insured”, other municipalities have “risk sharing” insurance, and others have liability insurance purchased from a third party directly. No matter how the municipality protects itself from lawsuits, property damage, or injuries to personnel, there is a cost associated. 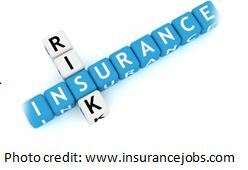 Insurance risk is also constantly evolving, and changing with technology. The risk here is that what the municipality budgeted in the past may not be enough to cover upcoming changes to costs in insurance. The availability of Body Cameras, for instance, may affect rates as municipalities seek to reduce the risk of lawsuits. Another example of a change affecting rates is the expanded Worker’s Compensation Insurance benefit to Responders who suffer PTSD. Public pensions for municipal employees are a benefit that has come under fire in recent years as some municipalities have been forced to declare bankruptcy, (such as Detroit and San Bernadino). The courts have had to make a determination as to the status of the “pension plan” in the order of creditors to be paid. This is not the article to discuss pensions, nor am I an expert, but there is an obvious tension between those already receiving the benefit for service already provided to the municipality, those who are earning the benefit by currently serving the municipality, and ensuring the benefit can be offered to future employees and personnel, as a pension is a benefit that many emergency services professionals expect as part of the compensation package. As interest rates on different types of investments have gone down and stayed down, there is less return on the pension investments. This can put a strain on the pension’s ability to continue providing income, with a cost of living allowance (COLA) keeping up with inflation, to those who have earned it and are retired, and those who are serving and contributing now. A May 2015 presentation by Anthony Gould at a recent Social Security conference describes some of the challenges pensions have faced in the last 20 years, as well as the returns on pension investments. Where Are the City’s Priorities? Thus far, the article has been all about WHY budgets are tight, and some of the competing interests for municipalities to balance. Admittedly, from a lot of the research, the budget challenges are due to the recession, lower property values, and the drag of long term unemployment on local economies, primarily due to losses of municipal revenue streams. Very few people will choose to fund a park over a police vehicle if there are no police vehicles. It gets sketchy when they think the city replaces the vehicles too often, or there are too many officers on the force, or that there is no “real” need for another $250,000.00 fire truck. The recent change of available local revenue does not remove the legal (and moral) obligation of a municipality to provide emergency services. It is very easy to become indignant and angry about cuts to emergency services, and the wisdom of cutting these services is admittedly shaky. But we know that. So how about a few solutions? Some Conversation Starters: How to We Ease the Strain to Provide Emergency Services? 1. Personnel. Can personnel be cross-trained and authorized to perform some services that may cross over their lane, but increase the protection of life and property? 2. Equipment. Can upgrades to existing equipment be a cost effective way to increase service through effectiveness and increased safety? Can several agencies within a municipality “share” certain equipment that is specialized, but needed to ensure efficient and effective response? Evaluate the benefit of having access to regional equipment, which may permit the purchase of equipment and training on a municipal, rather than an agency, level. 3. Recovery for services through Insurance - admittedly, I do not have any real experience in the recovery through insurance for municipal services. I understand that there is some hesitation in places, because if the taxes pay for municipal services, why the resident is also billed, or the resident’s insurance liable for reimbursement. No easy answers, just a thought. The above ideas are just that, ideas that maybe your agency has already considered and either implemented, or decided to abandon. There are likely many more, and knowing how creative the field is, those approaches are wildly successful. Time to share with the rest of the class- your ideas, strategies, and solutions- can impact countless departments being crushed under the weight of the budget squeeze. Email me your thoughts and creative solutions. We always want to hear from you.